Summer may be our favorite time of year, but it's kind of a nightmare for our hair. Continuous exposure to chlorine and salt water majorly roughens up our strands, and the sun's relentless rays and heat do their own kind of damage. It's true—your hair can be harmed from the sun just like your skin. You'd never imagine going without pre-sun SPF or post-sun cleanser and moisturizer, so why do you neglect to do the same for your hair? Neglecting your hair this way will most likely result in brittleness, split ends, and dry, limp hair. If this sounds familiar, don't panic. Even though a haircut is helpful to doing away with damage, that doesn't mean you have to cut half of your length off. Instead, you can bring your strands back to life by using the right products, treatments, and precautions. Keep reading to learn how experts recommend treating and preventing sun damage, for good. According to L’Oréal Professionnel Artist Travis Parker, "What you may not know is that increased sun exposure (UV rays) can break down the proteins of the hair, causing damage to the surface of the hair itself, aka the cuticle layer. As this starts to diminish, the outermost portion of the hair, the cortex (where color pigment resides), becomes increasingly more susceptible to increased oxidation, thus your hair fading at a faster rate." Even though you don't necessarily feel this damage happening, it has real effects. Think brittleness, split ends, and dullness. "Quite a number of my clients go on vacation during the summer and return with dry, brittle, and discolored hair. The ends are also weak and splitting. These are all a direct result of being out in the sun," says L'Oréal Professionnel Artist Anh Co Tran. "Cutting your ends will normally resolve removing the most damaged areas of the head, however, this does nothing for the root and mid shaft," Parker says. "Your hair needs additional moisture, generally found in most masques. 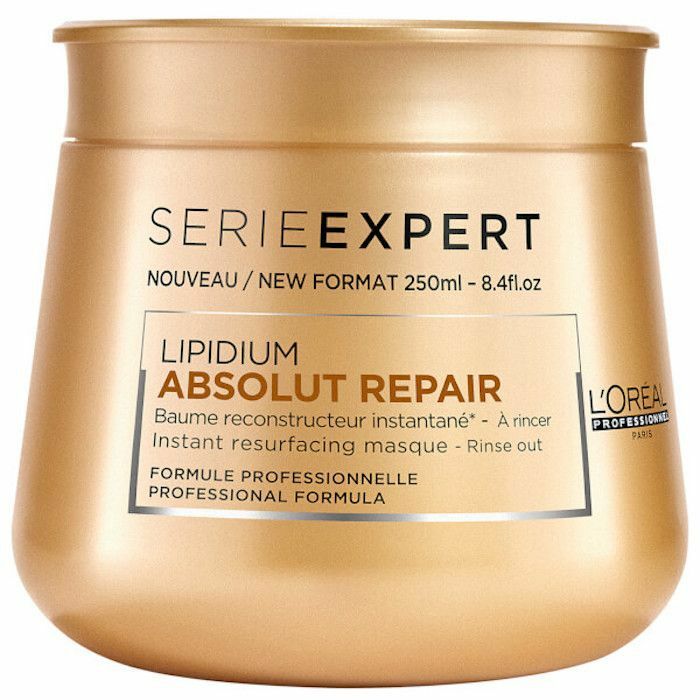 "My fav go-to product while your hair is in a sun-damaged state is L’Oreal Professionnel’s Absolut Lipidium Masque. This miracle worker actually helps replenish parched and damaged hair by adding Keratin, lipids, and ceramides to it," he says. Tran agrees that a haircut can help, though it doesn't need to be drastic to do away with damage. "If you currently are experiencing sun damage, use a moisturizing shampoo and conditioner and get a good trim," he says. Otherwise, an in-salon deep conditioning treatment will do wonders. "L’Oréal Professionnel has an amazing in-salon treatment called ProFiber. 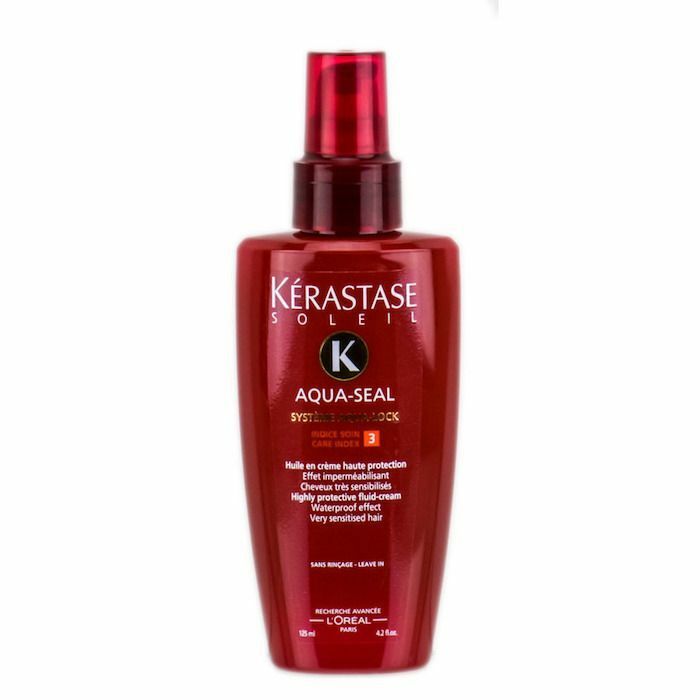 It benefits the hair strand from inside out, and it lasts for months, especially when paired with the brand's treatment re-activator." Nunzio Saviano of Nunzio Saviano Salon in NYC says he sees the worst sun-damaged hair in the autumn months, after a long summer of sun exposure. According to him, it's not only the UV rays you have to worry about, it's the heat from the sun itself. "The heat from the sun opens the cuticle of the hair and penetrates the cortex, which makes the color lighter," he says. This is why hair becomes naturally lighter in the warmer months. However "this can also damage the hair making it drier, brittler, and causing breakage." As for treatment, he says to treat sun-damaged hair the same way you would treat chemically damaged hair. "I would recommend first getting a haircut and then a conditioning treatment. If you like the way the your hair naturally was highlighted, you don’t need to worry about the color, just the health of hair." In other words, condition and then condition some more. Then, you need to ensure you're protecting your already weakened strands from accruing even more damage. "The best way to prevent damage to the hair is by wearing a hat and using products with sun protection, like my Anti-Frizz Sheets ($18). The crème from the Kerastase Soleil Collection is another great product that has sun protection," he says. This one is waterproof, too, so even after going for a swim or two your hair will be left nourished and protected. Tran agrees that preventing even more damage is key to recuperating your sun-ravaged strands. "To prevent sun damage, I always recommend a nice heat protectant. Just how you wouldn’t leave the house with sunscreen on your skin, you should not be in direct sunlight without any UV protectants." Try the L’Oreal Professionnel’s Mythic Oil Colour Glow ($40), which Parker calls his "constant go-to and highest recommendation," since it's formulated with UV protectants, moisturizing oil, and color-preserving antioxidants. Next, read all about the most on-trend hair color for fall.